The annual BB&T Atlanta Open Ladies Day was once again a big hit with the female tennis fans of Atlanta. A delicious lunch and an appearance by a star player are givens, but this year, Clinique representatives were on hand and offered a “you time” service. The women at the event were able to pick either “pick your pout,” service that focuses on the lips, or “flawless foundation,” focusing on the skin. They also offered free samples of mascara, foundation, clarifying lotion, eye cream and a three step skin care sample. 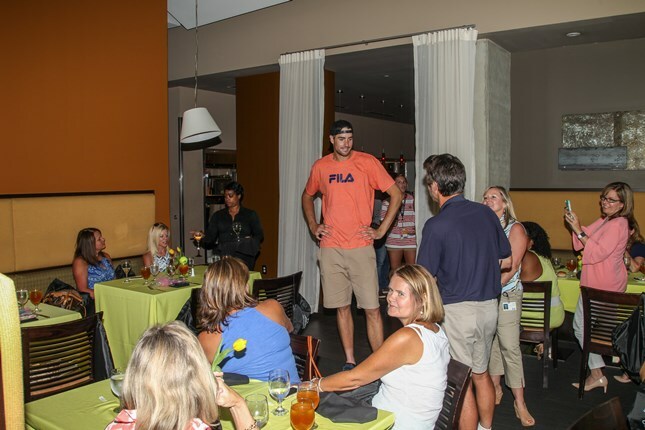 The star player happend to be John Isner, the BB&T Atlanta Open's three-time defending champ and top seed this week. He stopped by for a Q&A session and to take photos with the ladies in attendance. The former University of Georgia star talked about his life, on and off the court. Isner defeated Adrian Mannarino of France in the second round and will play American Taylor Fritz in the quarterfinals.